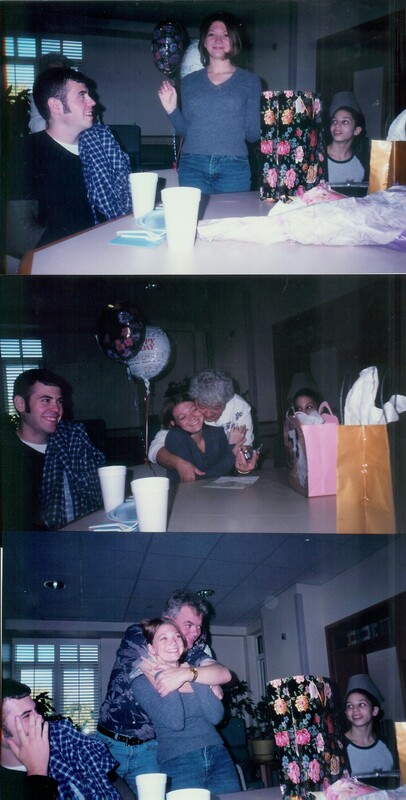 Almost a month before my 21st birthday my sister was in a near fatal car accident (read about it here). 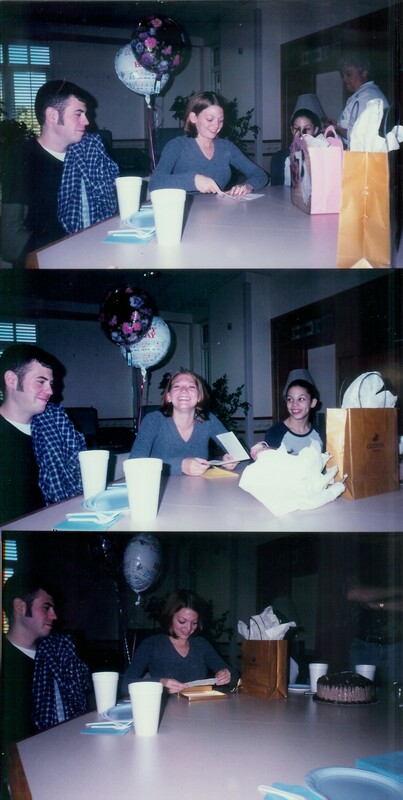 She was in rehabilitation on my birthday and my mom threw a little party for me right there at the rehab center. 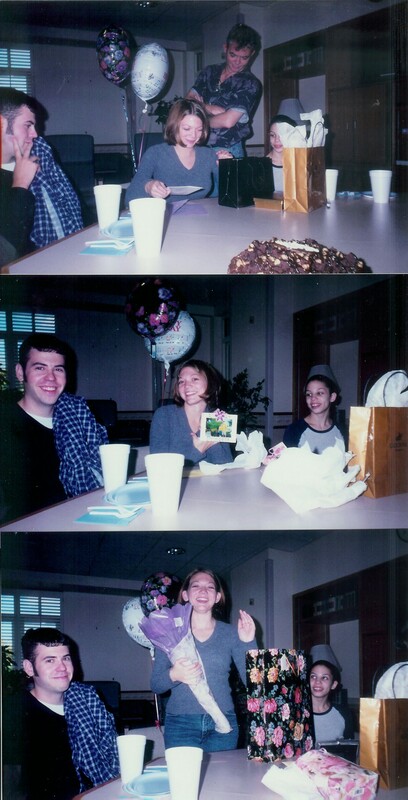 My mom had limited resources since she was living at the rehab center with my sister (which is over an hour away from our home), but I still had a pretty awesome party. My grandma and aunt from Florida happened to be there because they were up visiting my sister. 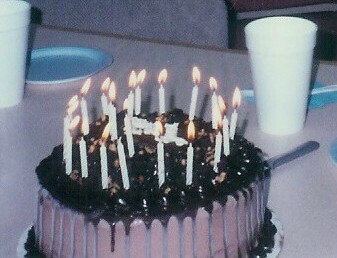 A Baskin Robbins ice cream cake…yum! There just happened to be a Baskin Robbins right down the road from the rehab center. My sister also got one with Tom Servo on it! -It’s not pictured here, but my mom also got me a bar of soap that had a plastic cow inside of it. I don’t know why I found this so amusing, but I did. I was physched when I finally got the cow out of the soap. -Cool Daddy and I had been dating for 9 months at this point. There isn’t a picture of it here, but he gave me the prettiest sapphire ring. Once my sister started talking again (the following month) she kept asking me if I was engaged. 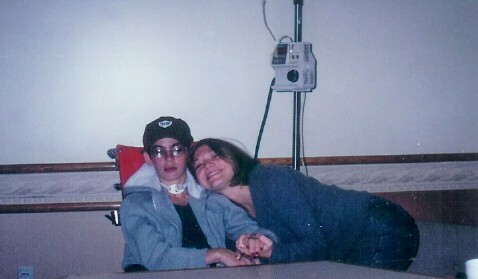 The best birthday gift was that my sister continued to get better and make more progress every day. It was pretty hard when it seemed like she didn’t know who I was. But soon enough she’d recognize me and start using my name again. It was a memorable birthday for many reasons. If only birthday memories came with an actual piece of cake…because I could really go for some of that yummy ice cream cake right now! 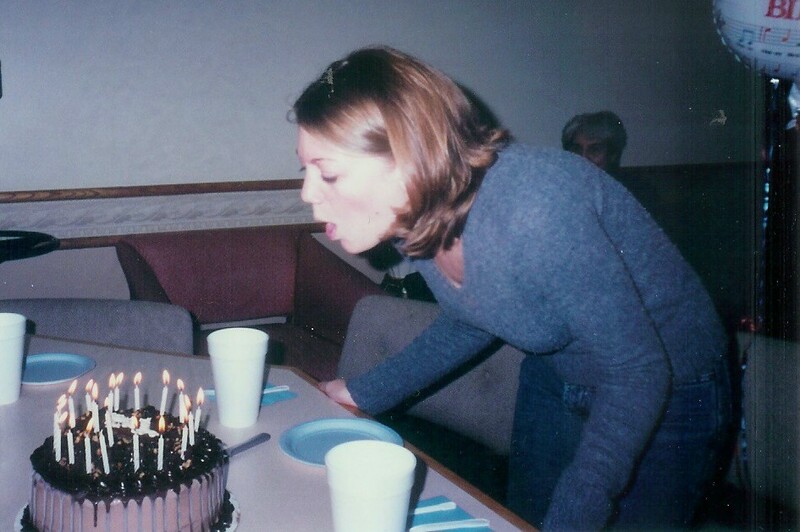 You can take a look at my 1st-20th Birthdays by following the links on this page. Be sure to check back tomorrow! Posted on September 21, 2010, in Birthdays, Parties and tagged Birthday Traditions, Parties, photos. Bookmark the permalink. Leave a comment.